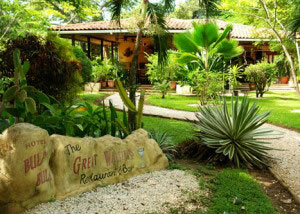 Hotel Bula Bula is located in Playa Grande, on the Pacific Northwest of Costa Rica. The 5 kilometer white sand beach boasts one of the most consistent surf breaks in Costa Rica and is known for incredible barrels. It is also a terrific place to unwind and collect seashells. 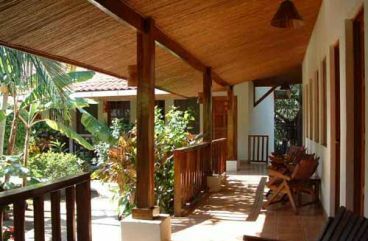 Tamarindo, a town featured in the surfing movie “Endless Summer II” is just across the estuary. All rooms at the hotel have one king-size bed. However, a roll-away bed can be added in certain rooms that are adjoining. This two-room configuration sleeps a maximum of 5 persons (2 king beds + 1 roll-away). 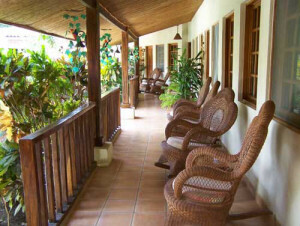 All rooms features; King-size orthopedic bed, Private bath with shower, Air-conditioning, Cable TV and DVD/CD player, Ceiling fans, Mini-Refrigerator, In-Room Safe, Coffee maker with complimentary coffee, and decorated with native art and pottery decorations. A made-to-order breakfast is included. 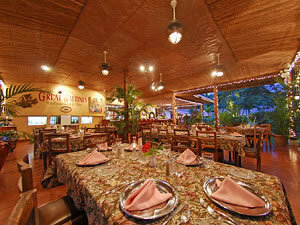 Enjoy casual fine dining at The Great Waltini’s bar and restaurant. 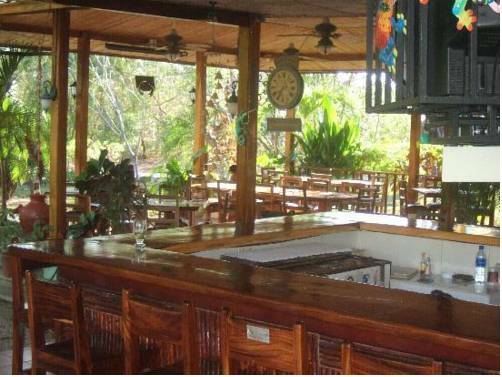 Experience the open air restaurant or choose to sit under the stars on the deck and enjoy your meal with a little moonlight. 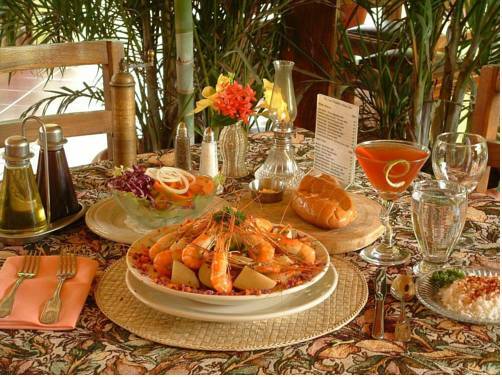 The chef creates a “fusion of the Americas” and Costa Rican specialties. The restaurant is closed on Mondays. 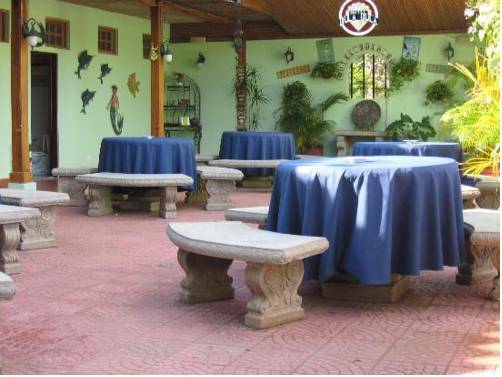 There is FREE wireless high speed internet connection and loaner laptops available for use at the restaurant.